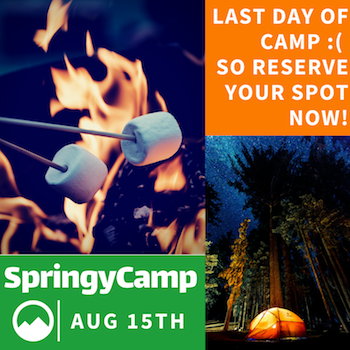 Join us for the last SpringyCamp of Summer! We have 4 great presentations from Springy Users (details below). Attend your favorites or make time for them all. Don't worry, we'll also make recordings, presentations, and resources available after camp.